This week the Horror Duo kick off two weeks of 90's superhero movies. Forest covers why Todd McFarlane's theatrical Spawn film got lack-luster reviews and is now regarded as one that has not aged well. 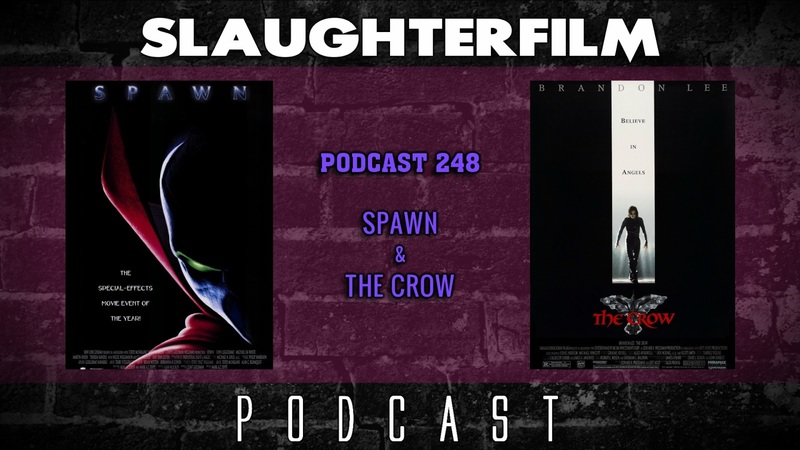 Cory basks in all that is the 90s with Brandon Lee's last film, The Crow. They also chat about how they spent their St. Patrick's Day and filming new episodes of Before You Die & Shot in the Dark. Cory began playing Breath of the Wild and speculates that his WII U version of the game may be the harder to come by in the future. Forest reminds Cory that Chuck Berry was a very talented musician and will be dearly missed. All this and the Horror Duo share their deepest darkest fears! For more Slaughter Film news and reviews, as well as show notes and special events, make sure to visit our website; SlaughterFilm.com.